Do you dream of the beach and finding a photographer in Gulf Shores AL? I have found myself lately dreaming of the beach. Be it the cold winter air that is still lingering, or the absence of sand in between my toes, I miss the beach. I know the time will be here soon enough where we will be meeting you to take your families portrait. That idea still doesn't make the first part of spring break any better. I mean I want summer to come tomorrow. I promise to welcome it with open arms. Just as we will welcome you while on your very own Gulf Shores family vacation. In the meantime, we will brave this cold air and venture to the beach with shoes on. We struck out on a sunrise adventure this morning to show you a unique perspective of the beach. The brave sea oat that withstands just about anything mother nature can throw at it. We as humans spend countless hours and money to save and restore them, for very good reason. Not only are they beautiful, but they are also the protectors of our coastline. They keep the sand where it belongs, and create barriers to absorb the storm surge. Like lifeguards, they are protectors of the beach. So today we honor them with a silhouette portrait of them in this mornings sunrise. So are you ready to welcome summer as well and depart on your very own Gulf Shores vacation? 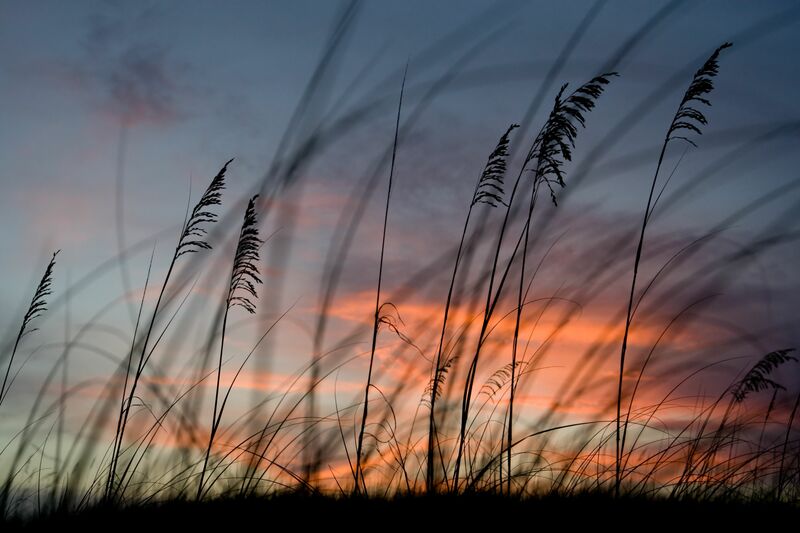 Just call it a vacation to come to say hello to some sand dunes and sea oats. They promise to say hello and wave back. We are positive Gulf Shores is just the spot for you on your vacation this year. The clear salt water is waiting, and the sound of the dunes whisk will surely relax you completely and give you a little much-needed break from the real world. Give us a call at (251) 968-2119 and we will be more than happy to talk about not only the perfect spot to stay in Gulf Shores, but a great professional family portrait session with us.